The past few days I have liked the darkness, the silence of my room. I have not come out much and have watched "Sleepless in Seattle" over and over and over and over. I started wondering why I want to be alone (I am not depressed at all) and started doing the roommate math. I have lived with 41 different people in my life. I have lived in 21 different living environments not including all the different times I moved around with my family as a kid. I have hit a wall where I just want ME time and a lot of it, no talking, no sharing, just alone time. In this much needed silence I find that I am a much simpler person than I once was, that I really love the quiet, and that it is time to live alone soon. I have done the roomie thing more than anyone I know and met some wonderful people, but I am overloaded with that experience. 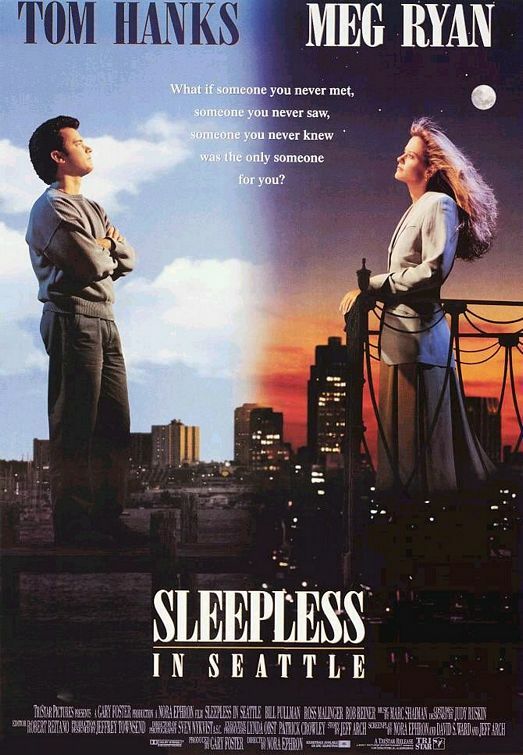 So, back to "Sleepless in Seattle" and my much needed silence.